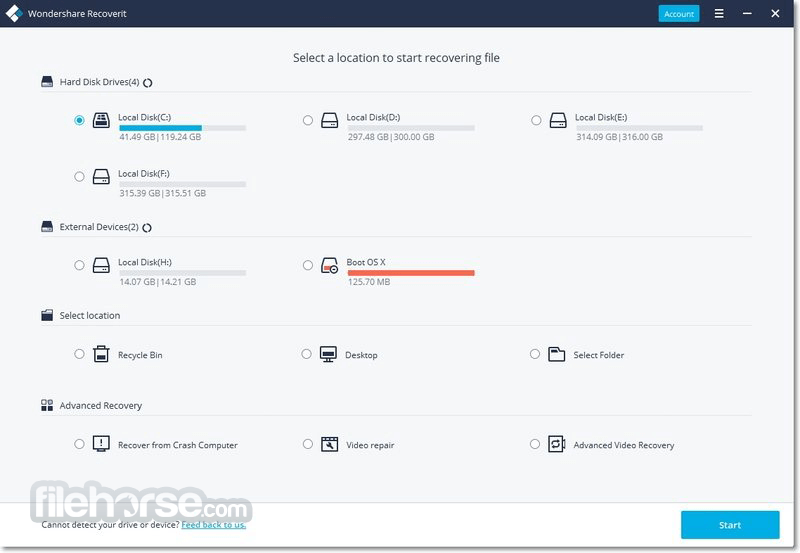 Recoverit recover your deleted, lost data with high recovery rate! 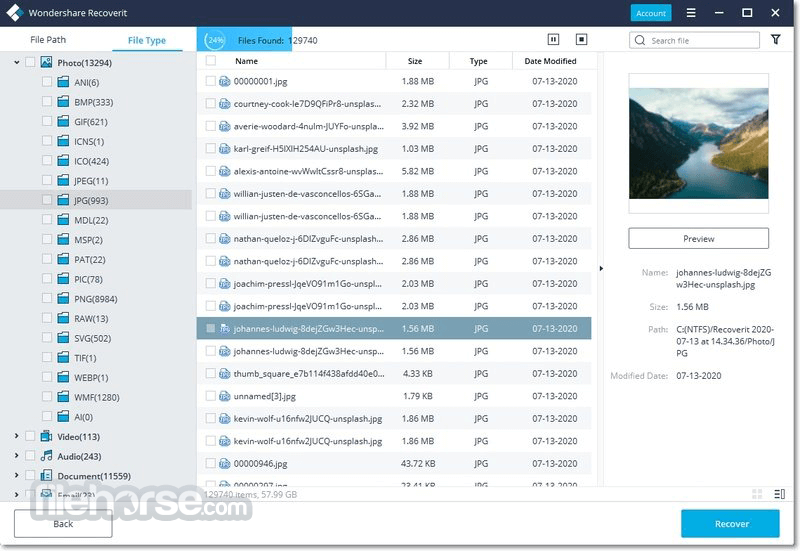 With Wondershare Recoverit you can recover all file types including photos, videos, documents and other files. Retrieve your data from all data loss scenarios and restore data from all storage devices and crashed Windows system or bootable problem! Reliable Data Recovery Software with 96% Recovery Rate. The free version is available for Download, and you can recover 100 MB of data and it recovers all file types! 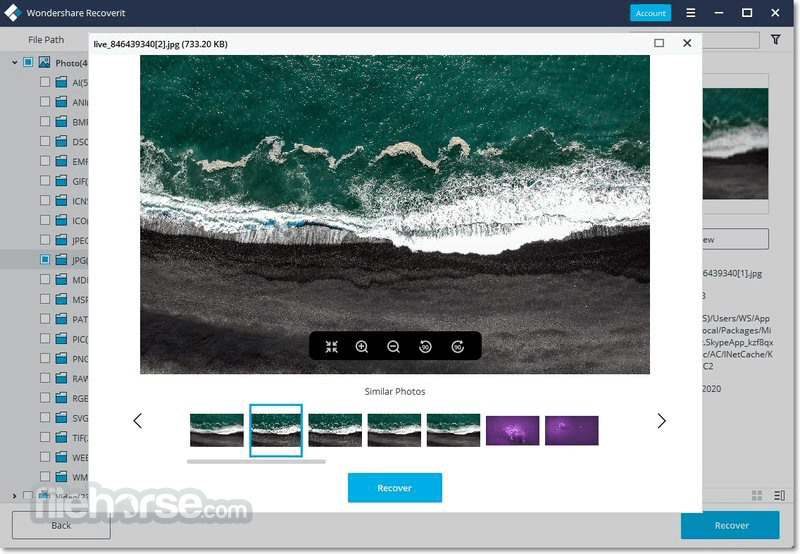 Download Wondershare Recoverit today! 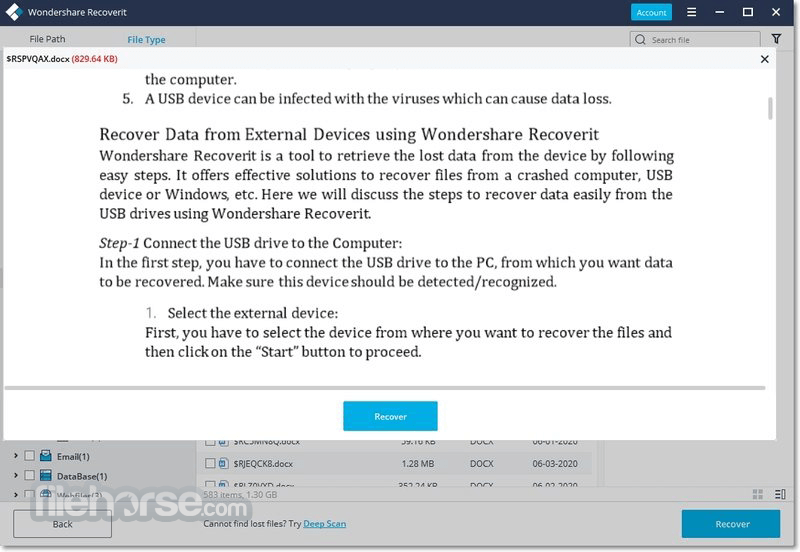 Download and launch the Wondershare Recoverit data recovery software. 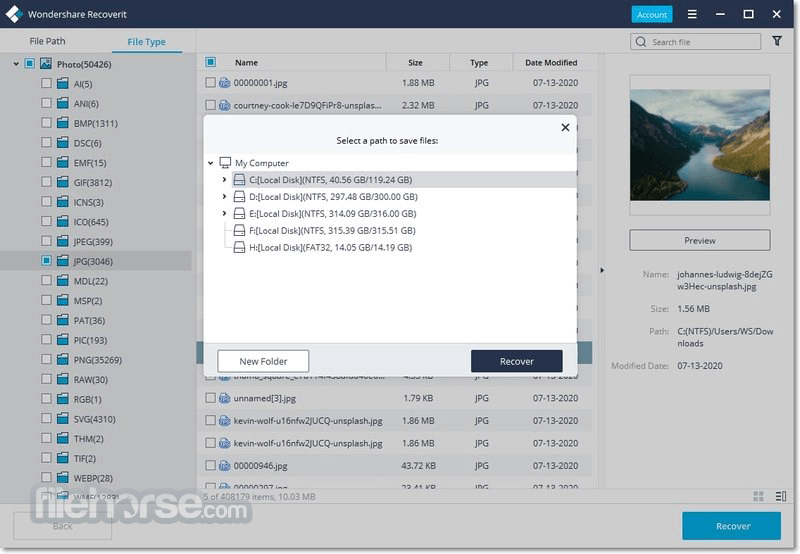 Select the data loss scenario case including: deleted files recovery, recycle bin recovery, formatted disk recovery, lost partition recovery, external devices recovery, virus attack data recovery, system crash data recovery, all-around recovery to restore data. Quick scan will launch automatically after selecting the path/location where you lost data. If you could not find your files you are looking for. It is suggested to use "All-Around Recovery" solution to search more data deeply from your drive/device. Preview photos and make sure your lost files were found. Start recovering your data. If you lost data due to operating system crash, please click here to get your data back. Note: In demo version 100MB of data can be recovered.